The lawmakers provided an update regarding the 2018 Legislative Session that concluded on May 9th and discussed the compromise state budget agreement. 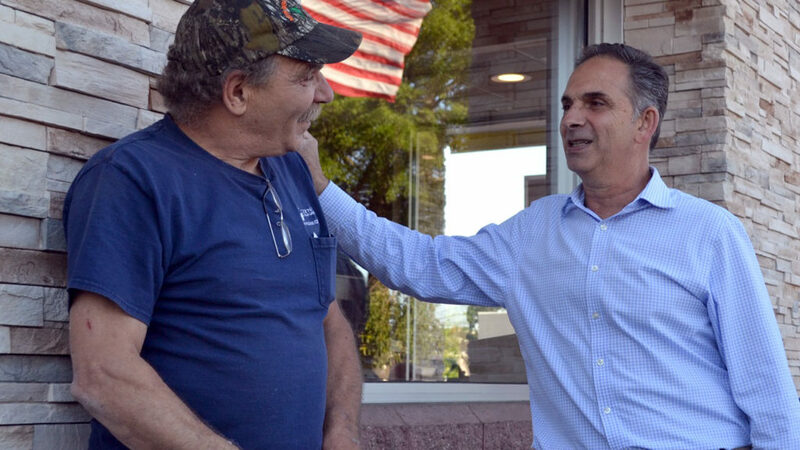 To keep residents updated regarding the 2018 Legislative Session, State Representative Dave Yaccarino (R-87), along with Senate Republican President Pro Tempore Len Fasano (R-34), held a cookout and Post-Session Legislative Update at McDonald’s on Washington Avenue on Monday, June 12. The lawmakers provided an update regarding the 2018 Legislative Session that concluded on May 9th and discussed the compromise state budget agreement. Both legislators explained to North Haven constituents how the budget, which they voted in favor of, did not increase taxes at the same time it restored education funding and town aid to North Haven among many other towns and cities across the state. The budget also restores funding for the Medicare Savings Program, stabilizes transportation funding, provides additional funding to the Retired Teachers’ Healthcare Fund and prohibits midyear cuts to municipal funding by the governor. Yaccarino and Fasano both expressed their continued efforts to put Connecticut’s finances on a sustainable path, and were available to address residents’ questions and concerns. “I am thrilled to have hosted another legislative cookout to build relationships and discuss key issues surrounding our community with the people of North Haven. I always enjoy an opportunity to meet new people and hear from my constituents about the concepts that matter most to them. Moments like these where we can engage in an open and honest dialogue is essential to effectively representing the people of North Haven at the Capitol in Hartford,” said Rep. Yaccarino. Anyone who was unable to attend the event may contact Representative Yaccarino at 860-240-8700 or [email protected] and Senator Fasano at 860-240-8800 or [email protected] with questions pertaining to any state or local issue.